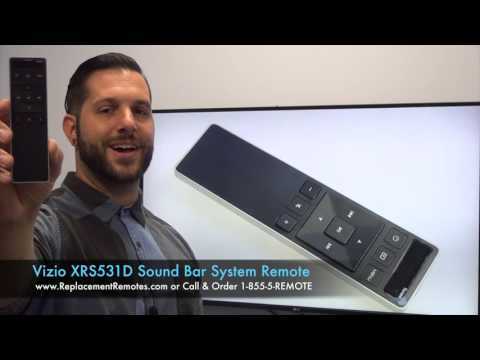 The original VIZIO XRS551iC/XRS531D Remote Control is available for special order. 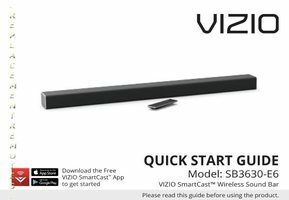 The original VIZIO XRS551iC/XRS531D Remote Control carries a 60-Days Warranty. by Richard on July 16, 2018. Exact replacement. Very pleased with product, price, and speed of service. by William on June 07, 2018. Great product. Works just like the original. by Matthew on December 02, 2016.
by Charles on February 17, 2019. Just as advertised, just what was needed. by Richard on January 22, 2019.
by Robert on January 14, 2019.
by Melanie on January 11, 2019. We have a dog that just can't get enough of eating remotes. We ordered five of these. They work perfectly. I expect to need more in the near future (unless someone can remember to put the remote on the mantel and not leave it on the couch). Thank you. by James B on December 04, 2018.
by Arthur on December 03, 2018. Quick delivery same as factory remote great company. by SUSAN on September 19, 2018.
by Theresa on September 12, 2018.
by Samuel on August 21, 2018.
by RICK on July 07, 2018.
by Dennis on June 13, 2017. Works perfectly! Came on time and is brand new! Would purchase again from here in the future. by Jeanine on July 18, 2018.